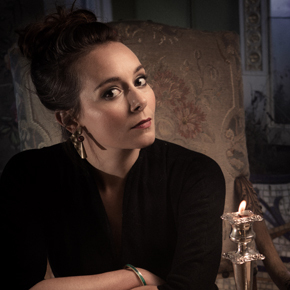 Newe Vialles are very happy to announce a collaboration with the critically acclaimed singer Anna Dennis, exploring some of the most fantastical consort songs of the late 16th century. Many of these will be unfamiliar to modern audiences, but have huge theatrical appeal. Anna is developing a great reputation as an interpreter of 17th century English song, and we are very excited to welcome her for this project. You can read more about Anna here. We are working on our concert schedule for the next 12 months, which will include recitals in Bristol, London, and a project with the New Cambridge Singers, directed by Graham Walker and featuring a new commission by Giles Swayne. Please check our performances page as more details go online! Rehearsals are underway for our debut project – recording a selection of the music from the Shirley Partbooks, copied for the Shirley family of Staunton Harrold in Leicestershire by William Lawes. Particularly exciting are the Italian madgrials – despite being an important part of the repertoire for early 17th century viol players, these have hardly ever been recorded on viols alone. Finding ways of bringing texted music to life without text – and thinking about appropriate ornamentation – is a great challenge, and also has its effect on how we approach the consort repertoire found in these manuscripts.